Published: Nov. 14, 2012 at 06:47 a.m. Updated: Nov. 14, 2012 at 06:08 p.m.
Miami Dolphins running back Reggie Bush took his benching Sunday like a professional, apologizing and saying he understood coach Joe Philbin's decision. NBC analyst Rodney Harrison found Bush's benching to be outrageous, but on Tuesday, Bush continued to take the blame for his play. "I've never been benched in my life. First time," Bush said, according to the South Florida Sun-Sentinel. "The only thing I can control is fumbling the football ... When we are fundamentally sound, you see we're a pretty good team. When we're not, penalties, turnovers, it's a recipe for disaster." However, on WBGG-FM's "Paul and Young Ron Show," Bush was a little looser with his verbiage when asked if he was bothered by being benched during a contract season. "I'm not gonna sit here and say it doesn't bother me," Bush said, via ProFooballTalk.com. "It does bother me." Philbin benched Bush to get his attention and send a message to his team that even stars will be held accountable. If it didn't bother Bush, the Dolphins would have bigger concerns as they try and squeak into the playoffs. 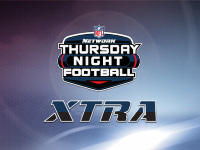 Bush will get off the pine early this week on NFL Network's "Thursday Night Football" (8:20 p.m. ET) against the Buffalo Bills' 32nd-ranked rush defense. He might have more trouble with the women in Buffalo, whom he insulted during that same radio interview.